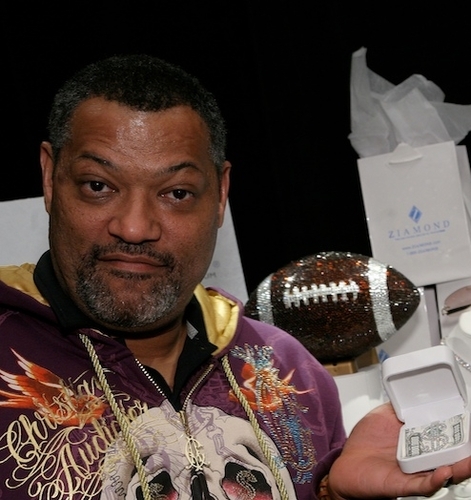 Laurence Fishburne visited us at Ziamond Cubic Zirconia CZ Jewelers and is pictured with his Ziamond encrusted Money Clip. Ziamond Cubic Zirconia CZ Jewelers features a variety of Men's Jewelry in many styles and designs to suit all your fine jewelry needs. All Ziamond Cubic Zirconia CZ jewelry is set in 14k gold, 18k gold and platinum mountings.